Information Governance is a key issue for organisations in today’s security conscious world. Effective leadership of Information Governance is the key to ensuring appropriate strategies, priorities, policies and processes are successfully embedded in an organisation to maximise the opportunities and minimise the risks arising from the information it holds. The value for organisations is to enable the delivery of better outcomes by minimising the risk and maximising the value of the information they hold. The value to individual Information Governance professionals is to keep them up to date with the latest developments and international global thinking and ensure the professional discipline of Information Governance is recognised as a key component to managing the exponential rise in data in the information age. While the concepts of information and governance are not new, the discussion around Information Governance has emerged as a necessary discipline to deal with the vast amounts of information being generated everyday by organisations. The challenge for organisations, whether in business, government or non-for-profit, is in developing a strategic, top-down approach to managing all aspects of information within the organisation. What information is required to be held? What information the organisation can use to deliver benefits to the bottom line? Security of information – how it is and will be kept secure and how personally identifiable information is securely managed. Provides the framework, systems and processes for ensuring the value of information is maximised and risks are minimised. 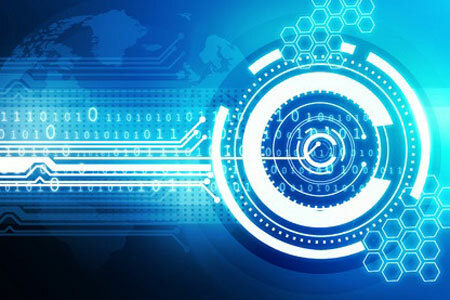 Relentless cyberattacks, the potential of data and privacy breaches and the ever increasing volume of information present an enormous risk to organisations. Significant cybersecurity investment, including the latest technology and best systems in place, is unlikely to prevent all breaches. And even if your cybersecurity technology and systems are first rate, there is always the issue of human failure – for example, employees leaving laptops or mobile phone in public places, or employees who download unauthorised software, or the problem of rogue employees and increases in information theft from within organisations. In the event of a successful data breach the issues become – what information will be accessible to a cybercriminal, and what safeguards have you put in place in relation to sensitive data or data containing personal identifiable information? A holistic and strategic approach to cybersecurity, privacy, records and information management is critical to ensure that data and privacy breaches are minimised. Analytic tools for auditing to prevent or detect early fraudulent activity. Technology to search, identify, and review information in the discovery and production process in litigation and regulatory inquiries. Litigation or regulatory investigations or commission of Inquiries – where the costs of document production are enormous due to the vast amount of data that needs to be searched, identified as relevant, reviewed and produced in accordance with legal requirements, or the potential sanctions and costs of not being to produce all documents that were required to be kept either in accordance with legal obligations or Legal Holds. Principal of Sibenco Legal & Advisory and co-founder of Information Governance ANZ. Susan is a lawyer and business advisor with over twenty years’ experience and has worked closely with corporate and government clients to deliver tailored legal and risk management solutions that meet client needs and strategic objectives. If you would like assistance reviewing your current IG ecosystem, please contact Susan on +61 2 8226 8682 or email susan.bennett@sibenco.com. This article is for reference purposes only and does not constitute legal advice.